Google announced on Monday that Android 9.0 P will officially be called Android Pie. More importantly, the final version of Android Pie has been released! While Apple fans get an iOS update that is mostly just bug fixes and refinements this year, Android Pie is packed full of new features. The problem, of course, is that most Android phones won’t get Android Pie anytime soon even though it was just released. Each manufacturer has to rebuild its software for each phone that gets the Android Pie update, and that takes… well… forever. If you want Pie right now, you’ll need one of a handful of phones that are compatible with Google’s new release. You have a few good options. 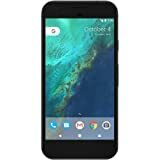 First off, Amazon is selling refurbished Google Pixel phones in white for just $219.45 today, and the black version is just a few bucks more at $234.49. 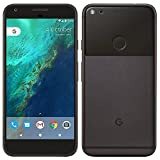 If you don’t want a refurb even though they’re guaranteed, you can get a new Pixel for $313. 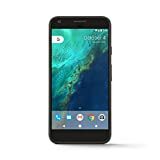 Refurbished Pixel XL phones start at $249, and new new Pixel XL phones are available for just under $400. Want newer phones that’ll run Pie? 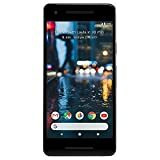 Pixel 2 refurbs cost $579 right now on Amazon, and Pixel 2 XL refurbs will set you back $639. Finally, you can order the Essential Phone PH-1, which is the only non-Google phone to get the Android Pie update today, for just $329.99. You’ll find links to all those phones listed below, and remember that refurbs are only available in limited quantities so many of the models we’ve listed here will probably sell out at those prices, or sell out all together. As for getting Android 9.0 Pie on your new Pixel or Essential phone once you get it, you can start right here on Google’s blog.